Bhubaneswar: A day after the Bargarh police seized Rs 40.5 lakh from a car at Mahupalli on the Padampur-Bijepur Road on Saturday night and detained a father-son duo, a blame game began between the BJP and the BJD. Both the parties knocked at the door of State Chief Electoral Officer (CEO) over the issue on Sunday. Alleging that the seized money belonged to the ruling BJD and was meant for distribution in by-poll-bound Bijepur, BJP leaders sought intervention of the CEO. “Use of black money by the BJD is now rampant; and the Padampur SDPO is working at the behest of ruling party. Besides, we have also urged CEO to take appropriate action against NAC employees who have been accused of distributing money to voters in Bijepur,” said BJP spokesperson Sajjan Sharma. 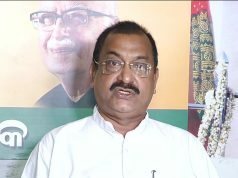 Strongly refuting the allegations levelled by the BJP, the BJD said both the arrestees Akash Agarwal and his father Om Prakash Agarwal are active workers of Bajrang Dal and VHP, respectively, and also have links with the saffron party. 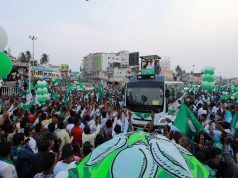 Also, a delegation of BJD led by senior leader Surjya Narayan Patro approached the CEO demanding appropriate action in connection with the incident. 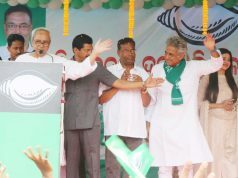 BJD vice-president Prasanna Acharya said it is just like “Chor machae shor.” The father and son duo held with the money are activists of BJP frontal organisations like Bajrang Dal and VHP. Om Prakash is a jeweler of Padampur and is a long time Viswa Hindu Parishad member. Everybody knows that. Besides, cases have been lodged against them during the Kandhamal riots, Acharya said.